Christina is an impact investment professional focused on startups launching innovations creating positive social and environmental impact. Her experience with social enterprise spans from micro-entrepreneurs in Sub-Saharan Africa to high-growth technology startups in Silicon Valley. Since 2015, Christina has worked at VentureWell, a non-profit on a mission to help an emerging generation of early-stage innovators launch tech ventures that improve life for people and the planet. There, she supports early-stage entrepreneurs as they validate product-market fit, develop a sustainable business model, and raise seed funding. 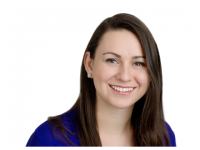 Prior to VentureWell, Christina worked at Invested Development, a seed-stage impact investment fund focused on alternative energy, mobile technology, and agriculture technology startups in emerging markets. There, she helped build a portfolio of 18 companies around the globe. Christina received her MBA from the University of Massachusetts Boston.